Home » Uncategorized » Digging Into Downdog Workshop! How would it change your practice to feel light and strong in Downward Facing Dog? How would it feel to know you can transition in and out with confidence and strength? Let’s learn how to make Adho Mukha Svanasana (Downward Facing Dog) and related poses work best for us. Learning how to overcome challenges, such as tight hamstrings and mobility issues. Avoiding common pitfalls, such as collapsing into the wrists or shoulders. 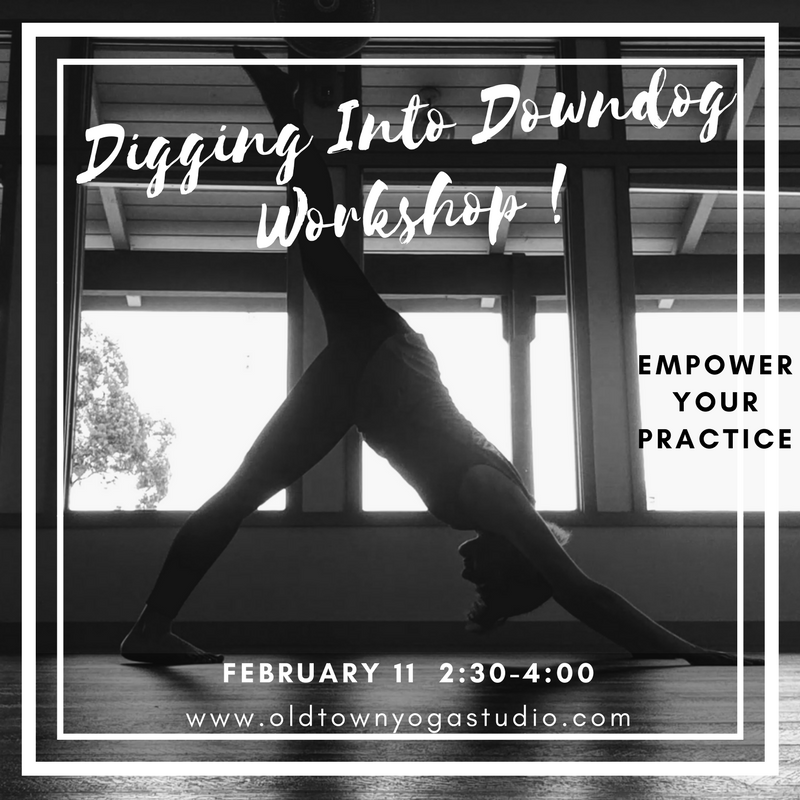 Learning how to smoothly and safely transition in and out of downward facing dog from poses like Upward Facing Dog and Wild Thing. Reviewing poses and variations related to Down Dog, such as Three-Legged Downward-Facing Dog Pose, Hip-Opening Variations, Revolved Downward Facing Dog, Dolphin, Puppy, Hammock and more.